Hello to you all, there was a time (about 20 years ago) when having a session at the weekend involved a good deal of alcohol and shenanigans. These days a good session is measured by how many cards I can get made! 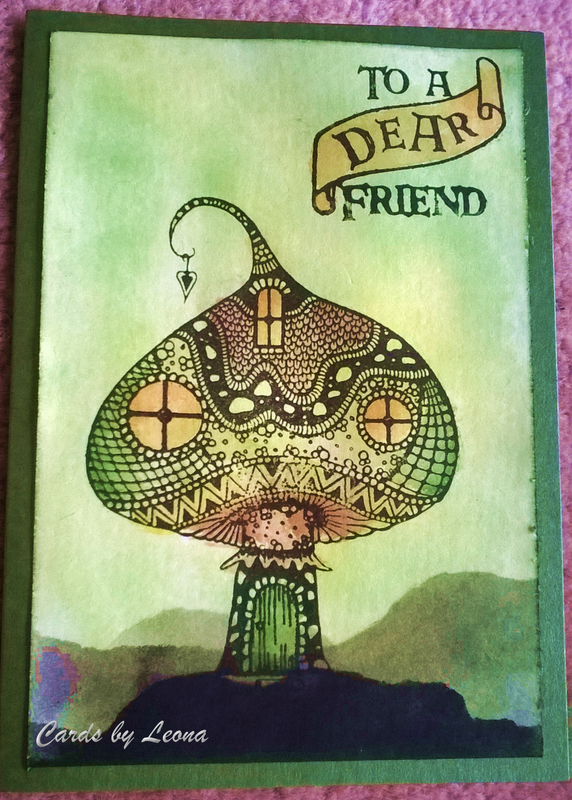 Last weekend I did Christmas and today’s card is very different for yesterday’s Christmas post. 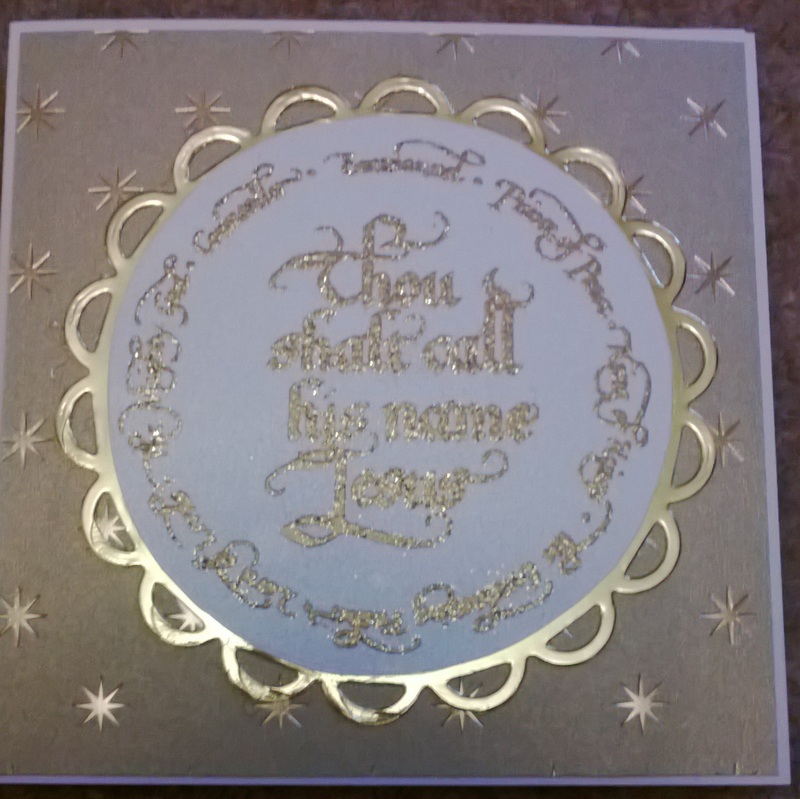 I used a beautiful Claritystamp with a true Christmas message, which was embossed onto pearlescent card. 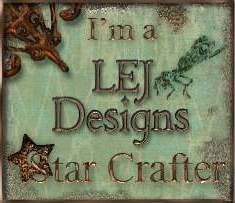 The border is a Spellbinder die and the backing paper is from last year’s Kanban range.